Fireplaces have had a place in the centre of our homes since we first moved our lives indoors. So, we think it’s safe to say that they have withstood the test of time! Nevertheless, some people still ask the question, are fireplaces out of style? Our answer is, of course, no! 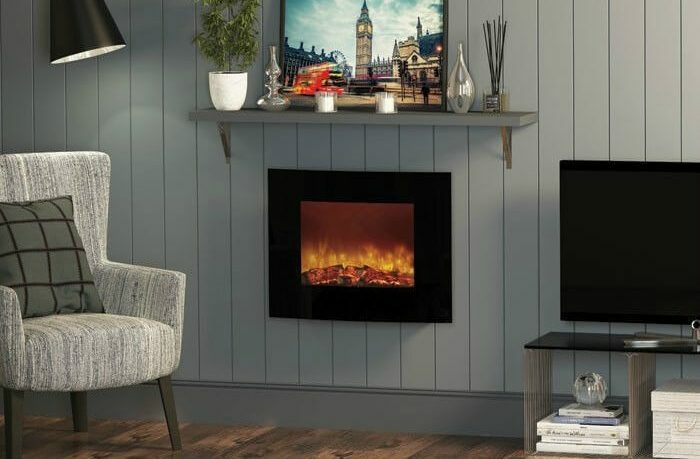 There are plenty of stunning modern designs that ensure fireplaces stay in fashion, including gas fires and electric fires for homes without a chimney. 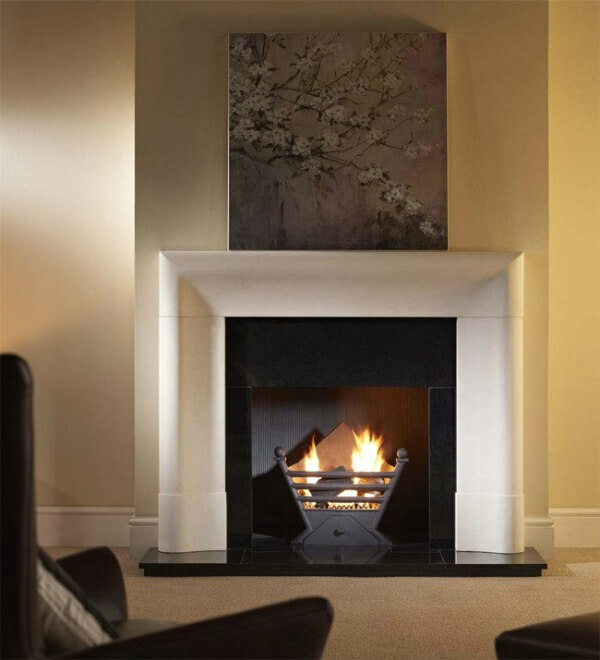 Contemporary gas fires are a great choice for a lot of modern homes. Not only are they highly efficient fires, but there are also some fabulous contemporary gas fireplace designs out there to give your room a stunning makeover. For more information, you can find everything you need to know about gas fires here. If you want a modern fireplace without a mantle, a hole in the wall gas fireplace is a great way to go and are very much in vogue. They can easily be slotted into your chimney breast and sit completely flat against the wall, making them ideal if you don’t have much space. 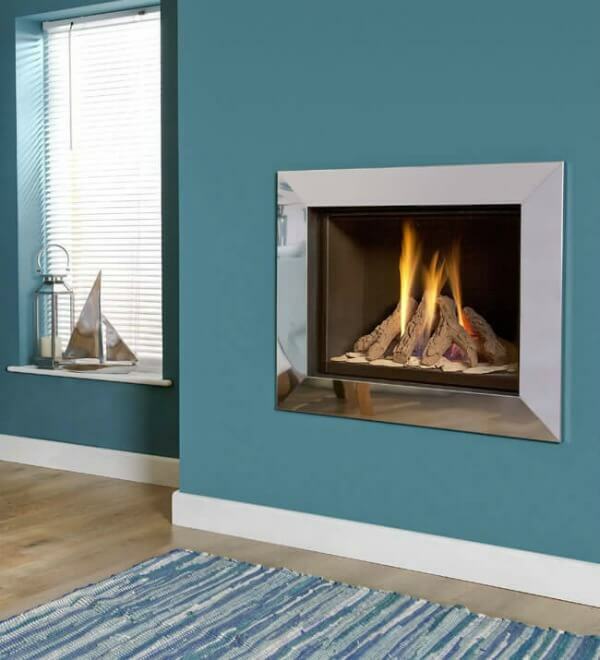 This beautiful modern gas fire is available with a choice of three trims. Alternatively, you can leave it without a frame for a minimalist look. You can also choose between a cosy log or sleek white pebble fuel bed to further match it to your room. If you are looking for a luxurious looking modern gas fire, this is a great pick. It comes with two trim options or a frameless effect, plus you can choose between a cream or jet black interior. Electric fireplaces are a perfect option if you have a house without a chimney. They don’t require any ventilation, need minimal building work, and can be set up pretty much anywhere you have an electricity supply. 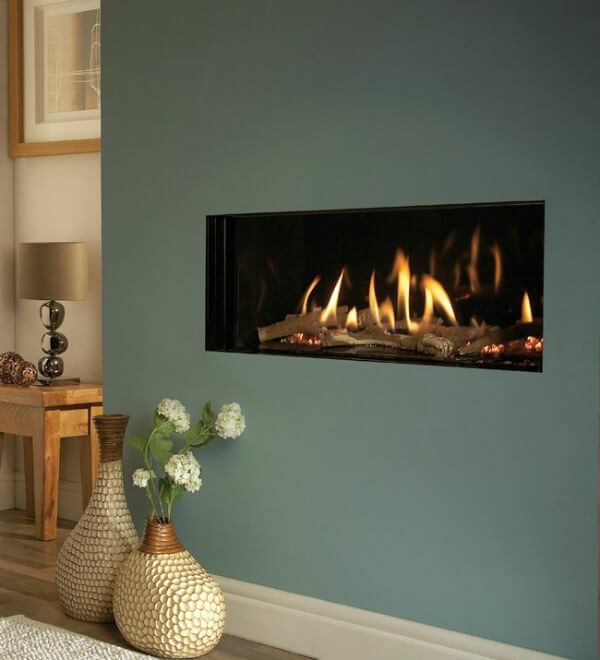 See our guide on how to install an electric fire at home to find out how to fit them. You can find some incredibly realistic looking flame effects in electric fireplaces these days, too, with stunning contemporary designs. They are also 100% efficient and release no fumes into the air, making them great for modern homes. 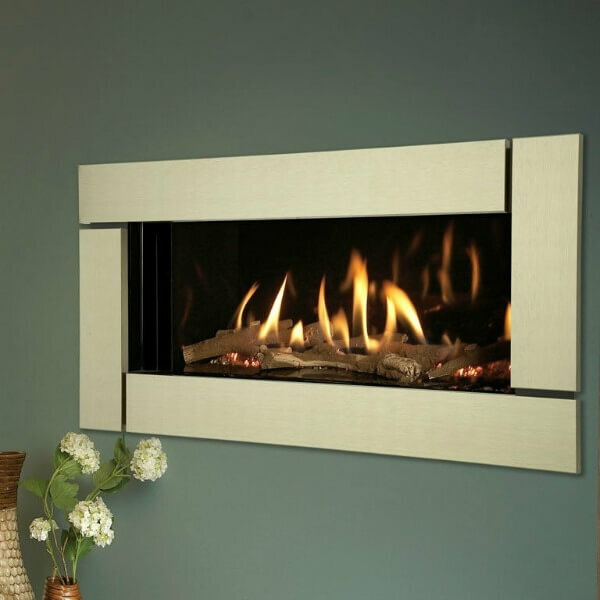 The Celsi Ultiflame VR Avignon Electric Fireplace Suite is a brilliant option if you are looking for a contemporary feeling electric fireplace. It features a sleek hole in the wall fire with a 3D flame effect and an impressively large viewing window. 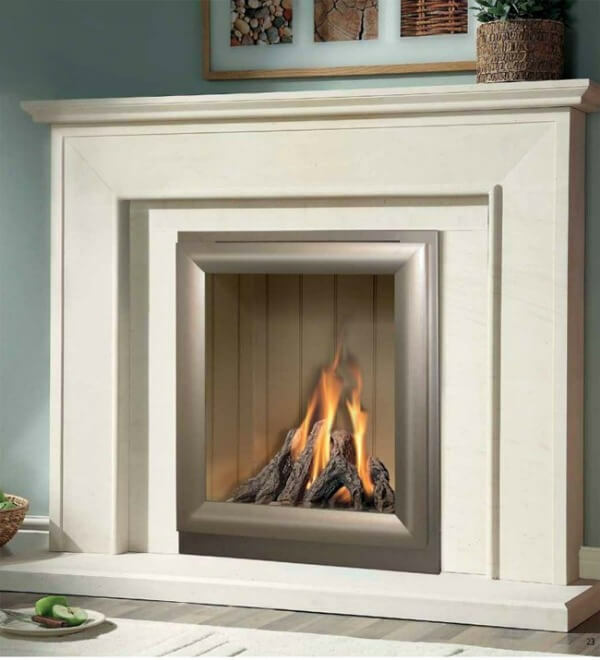 It sits within a modern fire surround made from Portuguese limestone, giving a luxurious finish. We think you will also love its remote control thermostat, so you can adjust the heat from the comfort of your sofa! For more, take a look at our full range of contemporary electric fires here or browse all of our electric fire suites. 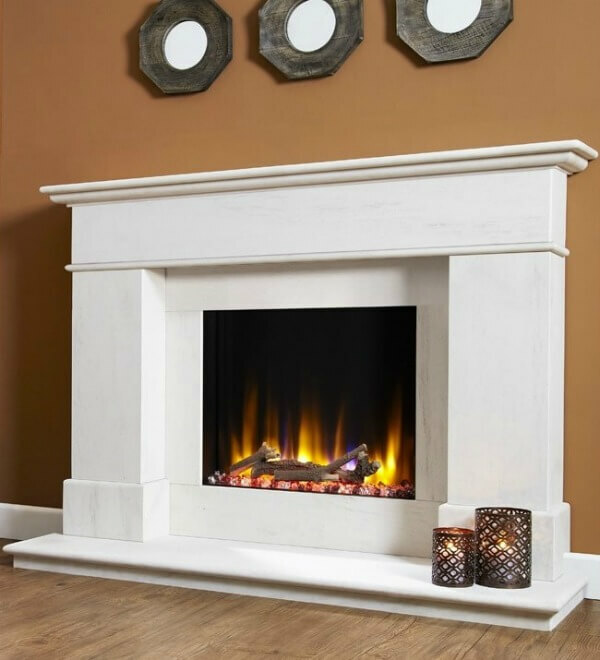 Limestone is a perfect stone surround to use if you are looking for modern fireplace design ideas. 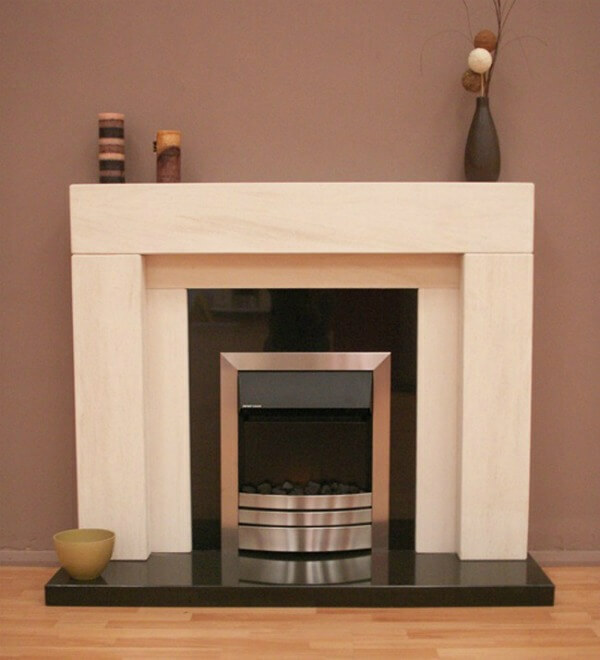 With a fresh colour and clean lines, this is a great option if you want a modern fireplace with a mantel. You can fit it with any type of fireplace and it is versatile enough to suit most home decors. This simple yet striking fireplace will make a great update to your room. While contemporary, it is also timeless, so is sure to serve you well. You can also buy it in a package with the Verine Meridian Gas Fire for a sleek hole in the wall display. Looking for a limestone with a little variation? This bold design adds a little twist with a contrasting granite hearth and back panel. It can accommodate any inset gas or electric fire, both available in a package from Direct Fireplaces. This is one of our bestselling modern fire surrounds, and we can see why! Its bold design really stands out and looks great with an electric, gas or solid fuel fire. It’s pictured here with a granite hearth and back panel for a luxurious look, but would look great with a limestone hearth, too. 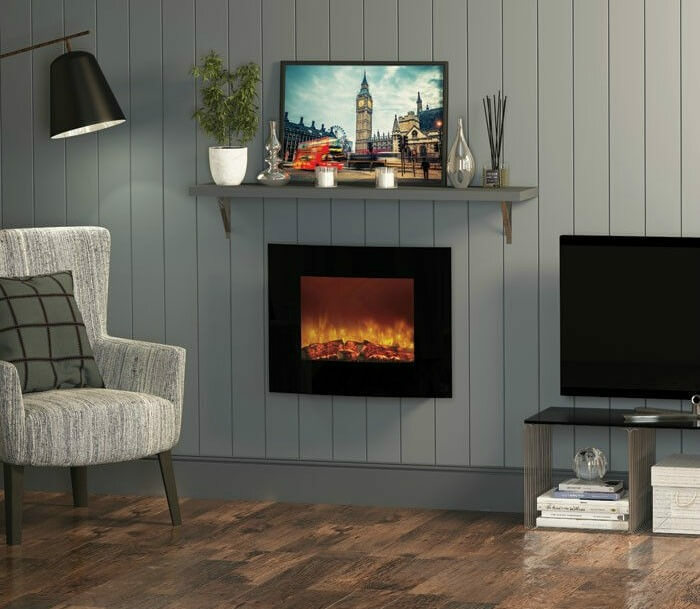 Take a look at our full range of gas and electric fires to find more modern fireplaces. If you would like any help, call our expert sales team on 0161 376 4181. Previous ArticleDo You Need a Chimney to Have a Fireplace? Next Article Should You Convert Your Open Fire into a Gas Fire?